K-9 Kilo was discharged from the North Carolina State Veterinary Hospital Monday afternoon after he was shot last Tuesday. Authorities said the shooting happened after Kilo escaped his enclosure. He was rushed to the North Carolina State Veterinary Hospital where he underwent surgery to his leg. 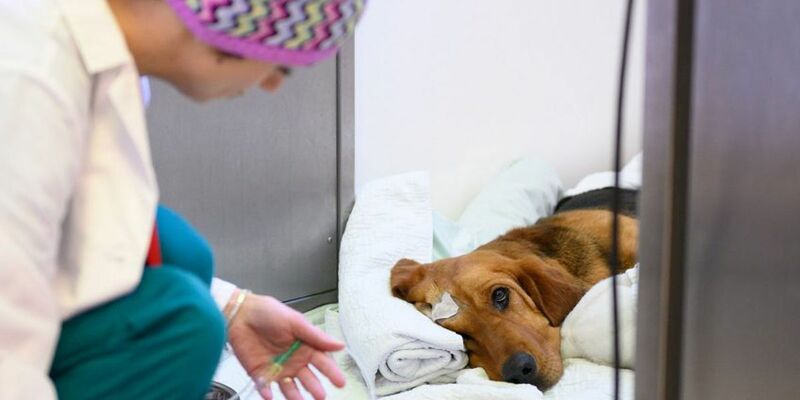 During the three-hour surgery on Thursday, lead surgeon Andrea Tomas, placed a permanent stainless-steel plate and pin in Kilo’s femur and removed bullet pieces, according to the NC State Veterinary Hospital. Thomas said it appears the bullet hit the bone directly and shattered, leading to extensive soft tissue damage. Tomas said that Kilo did well after the surgery and was awake, alert and aware of his surroundings on Friday morning. “Kilo has a long, difficult road ahead, but his spirits are good considering the trauma he has experienced,” the Marion County Sheriff’s Office K-9 Unit said in a Facebook post. He will head back to NC State in eight weeks for a check-up and if all is well, Kilo’s handler can start slowly re-introducing him back to work, Tomas said. Meanwhile there has been an outpouring of love and support from people nationwide. The Marion County Sheriff’s Office K-9 Unit said people as far away has Las Vegas has reached out to Kilo and have sent care packages for him. Authorities are still searching for the person or person responsible for the shooting. There is a $2,000 reward leading to an arrest in the case.